The relationship of mutual love and affection between India and Myanmar (Burma) is very ancient. Three to four hundred years before the Buddha, the powerful ruler of the Pancala kingdom destroyed the kingdoms of the Sakyas and the Koliyas. After this defeat, the Sakya leader Abhiraja set out with some of his companions, and proceeded eastward through Kamarupa (Assam). Crossing the almost inaccessible mountains bordering Myanmar, they reached the land between the Chindwin and Irrawaddy rivers. There the group found refuge and still more. The generous people of the country to which they had fled were deeply impressed by the newcomers' long experience in governance, and so they chose the refugee leader Abhiraja to be the ruler of their land. These people from the Sakya community were few in number. Their descendants integrated harmoniously with the people of Myanmar. In ancient times, however, far more Indians went to Myanmar via the sea route, and settled there to carry on business and commerce. In the passage of time, their descendants also integrated harmoniously with the people of their adopted country. In those days, India had a highly developed international maritime trade extending eastward to Myanmar as well as to the whole of Southeast Asia and beyond to China. Most Indian traders limited their activities to Myanmar, but it was also an important centre for those doing business much further afield. The ancient Pali literature reveals that people from different regions of India were engaged in this international trade. Merchants from Kamboja, Gandhara, Sovira, Sindha and Saurashtra in western India used to sail from ports on the country's western coast. The main ports were Bharukaccha (present-day Bhadoch) and Supparaka Pattana (present-day Nalla-Sopara, near Mumbai). Huge trade ships sailed from there directly to south Myanmar. Merchants from south India embarked from the ports of Kanchipuram and Kaveripattana on the sea journey to south Myanmar. Many towns in the kingdoms of Kosala, Kasi, Magadha and Anga were also important centres of international trade. Merchants from these towns used to load their goods on bullock carts or in river boats for transport to the port of Tamralipti (south of Calcutta), at the mouth of the Ganges in eastern India. From there, the goods were transported in large ships to Myanmar and beyond. This trade had been going on for hundreds of years before the Buddha. Many Indian merchants had settled in Myanmar in the ports and towns located at the mouths of the Irawati (Irrawaddy), Citranga (Sittang) and Salavana (Salween) rivers. The merchants gave these settlements Indian names, many of which are still in use. People from the Indian state of Ukkala (Utkala or Orissa) had established a settlement at the mouth of the Irrawaddy River in Myanmar, naming it 'Ukkala' in memory of their homeland. They had been joined by Indian merchants from many other states, among them the brothers Tapassu and Bhallika. These two were from Balhika (the present Balakh), which is eighteen kilometres west of Majar-E-Sharif in northern Afghanistan. According to some, the brothers were from Pokkharavati, which is thought to be the present Carasadda, situated on the bank of the Svata River, twenty-nine kilometres from the town of Peshawar. During the lifetime of the Buddha, Ukkalapati was the king of Ukkala in Myanmar, and Tapassu and Bhallika were traders there. The brothers frequently travelled between Myanmar and India, trading their merchandise. On one of these trips they were passing through the Uruvela Forest with five hundred bullock carts loaded with goods they had brought by ship from Myanmar to Tamralipti. There in the forest they encountered the Buddha. The Exalted One had just spent seven weeks experiencing the bliss of full enlightenment and was seated at the foot of the Rajayatana Tree, near the Bodhi Tree. The two brothers presented to him cakes made of honey and rice, and this was the Buddha's first meal after attaining full enlightenment. Tapassu and Bhallika received eight locks of hair from the head of the Buddha. They decided to return immediately to Ukkala. There the king built the Botathoung, Sule, and famous Shwedagon pagodas. In these he reverently enshrined the locks of hair, which people worship to this day. At their meeting in Uruvela, Tapassu and Bhallika did not hear any Dhamma discourse from the Buddha. It was only later that the Enlightened One first expounded his Teaching at the Deer Park near Banaras. After the hair relics of the Buddha had been installed at Ukkala, the brothers returned to Magadha and received the teaching of the Dhamma from the Buddha at Rajagaha. As a result, Bhallika went forth as a monk and became an arahant; having liberated himself, he continued to serve others. Tapassu became a sotāpanna; remaining a householder; he continued as a trader. It was through these two that the teaching of the Buddha first reached Myanmar. The Indians who had established a settlement in south Myanmar at the mouths of the Citranga (Sittanga) and Salavana (Salween) rivers gave it the name of Suvannabhumi (Golden Land). This was an extremely important centre of international trade in those days. It covered a large portion of southern Myanmar, part of present-day Thailand in the east, and not only Dhanasirin (Tenasserim) but also the whole of the modern Malay Peninsula to the south. During the lifetime of the Buddha, the ruler of Suvannabhumi was Siharaja. He had established the capital city of Sudhammavati, a harbour town nowadays called Thaton. Most probably, he also established the port of Sihapura (Singapore) at the southern extremity of Suvannabhumi. In those days Gavampati, a resident of Mithila in central India, had obtained the teaching from the Buddha. He became an arahant and went to Suvannabhumi to teach the Dhamma to his brother of a past life, Siharaja, as well as to other people living there. Thus the teaching of the Buddha reached south Myanmar for the second time. According to the Pali scriptures, the Venerable Gavampati established the Buddha-sāsana (teachings) in Suvannabhumi in the eighth year after the parinibbāna of the Buddha. After the completion of the third Dhamma Council under the patronage of Emperor Asoka, the Venerable Moggaliputta Tissa sentDhammadūtas (Dhamma messengers) to different countries to spread the beneficent teaching of the Buddha. The arahants Sona and Uttara were sent to Suvannabhumi. At that time, the ruler of Suvannabhumi was King Sirimasoka, and the capital city was Sudhammavati. On their arrival, these Dhammadūtas first taught the Brahmajala Sutta. Impressed by it, many people became established in the true Dhamma and many others left the household life and became monks. The fact that this particular sutta was the first to be preached in Suvannabhumi is highly indicative. Evidently, the Indians who had come to Suvannabhumi before the time of the Buddha had been bound by various philosophical beliefs, and these beliefs had deeply impressed the local people. As a result of the impact of the Venerable arahant Bhallika as well as the Venerable arahant Gavampati, people may have started understanding that right wisdom is based on direct experience rather than speculation. Nevertheless, the false philosophical beliefs that had prevailed in earlier times continued to have a strong influence on many people. Sona and Uttara started to dispel these beliefs. It may therefore be said that only from their time was the pure teaching of the Buddha really established in Suvannabhumi, to spread from there to other parts. In the centuries that followed, at no time was the teaching of the Buddha ever wholly lost in Myanmar. Whenever the teaching became weak, especially in Vinaya, it was renewed from Sri Lanka. The foundation of the teaching of the Buddha always remained strong, and that is why the Fifth and Sixth Dhamma Councils were successfully held there. The pure Dhamma that the disciples of the Buddha, the arahant Bhallika as well as the arahant Gavampati, taught the people of Myanmar could not have been limited only to sīla (morality). The Buddha himself did not merely give discourses on sīla; he also taught how to develop in sīla by gaining control of the mind through the practice of samādhi (mental concentration), and he taught how to achieve total purification of the mind through the practice of paññā (wisdom, insight). The Noble Eightfold Path is complete only with the inclusion of all three trainings. Therefore, the Buddha's arahant disciples must have done more than merely give discourses on sīla; they must have taught samādhi for developing concentration of the mind, and Vipassana for purification of the mind. Only with mental purification does a person become truly established in sīla, because it is only then that the unwholesome habit of generating defilements in the depths of the mind is removed. 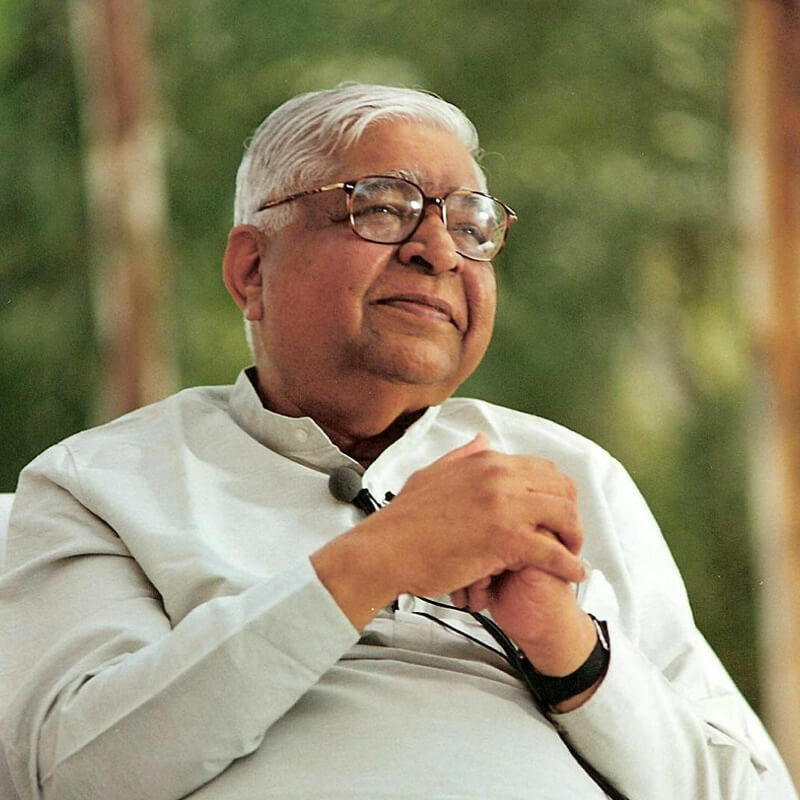 Any arahant who went to another country and established Dhamma there must undoubtedly have taught the local people the technique of Vipassana, which is the life-transforming practical teaching of the Buddha. Yet it is true that the pure Dhamma, which the arahants Bhallika and Gavampati had taught to the people in the form of Vipassana, became contaminated within 275 years after the time of the Buddha. Except for a few people who preserved it in its pristine purity, the Teaching became corrupted. It was only because of Vipassana that the sammuti and parāmaṭṭha, sekkha and asekkha sanghas remained alive here from generation to generation. The term sammuti sangha denotes ordinary bhikkhus who have not yet been able to reach the ariya stage but are striving for it. Sekkha bhikkhus are those who have become ariyas; that is, they have attained one of the first three stages of enlightenment, whether as a sotāpanna ('stream-enterer'), sakadāgāmī ('once-returner') or anāgāmi ('non-returner'). The asekkha or parāmaṭṭha stage is the stage of an arahant, a fully liberated person. All these stages, sekha or asekha, can be reached only through the practice of Vipassana. Therefore it is clear that the technique of Vipassana was preserved in it pristine purity for many centuries in south Myanmar. In the same way, the entire literature of the Tipiṭaka was properly preserved there, initially in oral form (by memorisation) and later in written form. In north Myanmar, however, both the Tipiṭaka and the technique of Vipassana had been lost. That is why the Dhamma became totally corrupt there. The spiritual teachers of that time, called Aris, were completely immoral. Though they called themselves bhikkhus, they were a disgrace to the Sangha. This was the state of affairs in the middle of the eleventh century, when King Anuruddha (Anawratha) reigned in his capital of Pugram (Pagan). An arahant bhikkhu named Dhammadassi from south Myanmar learned about the situation. Overcome with compassion, he journeyed to Pagan and met and taught Anurudddha. The king was deeply impressed. Unlike the corrupted teaching of the immoral monks, he found the pure Dhamma very attractive, agreeable and beneficial. Therefore he gladly accepted it. To establish the pure Dhamma in his kingdom, King Anuruddha asked King Manua, the ruler of Thaton (Suddhammavati) in the South, for theTipiṭaka. But King Manua rejected this request. Angered by his refusal, the powerful Anuruddha invaded south Myanmar and conquered Thaton. There he found thirty sets of the Tipiṭaka, and he reverently placed the volumes on thirty elephants to bring them to Pagan. He also brought the defeated King Manua and his family, giving them a palace in which to live. Thus the pure pariyatti and paṭipatti reached the kingdom of Pagan in central Myanmar. Within a few years it became established as a result of the selfless service of the meditating monks who had arrived there. Since then, the effort has never failed to preserve both these aspects of the Dhamma in their pure form. The arahant bhikkhu Dhammadassi, the progenitor of this whole movement, was satisfied with its success. Journeying further northwards, he made his abode in the peaceful caves of the Sagaing Hills, on the western bank of the Irrawaddy River. Thus the pure Dhamma was revived there as well. In the ensuing years, many monks seeking liberation came to him to learn the technique of Vipassana. Even after his parinibbana, the Sagaing Hills continued to be a beneficent centre of Vipassana meditation. 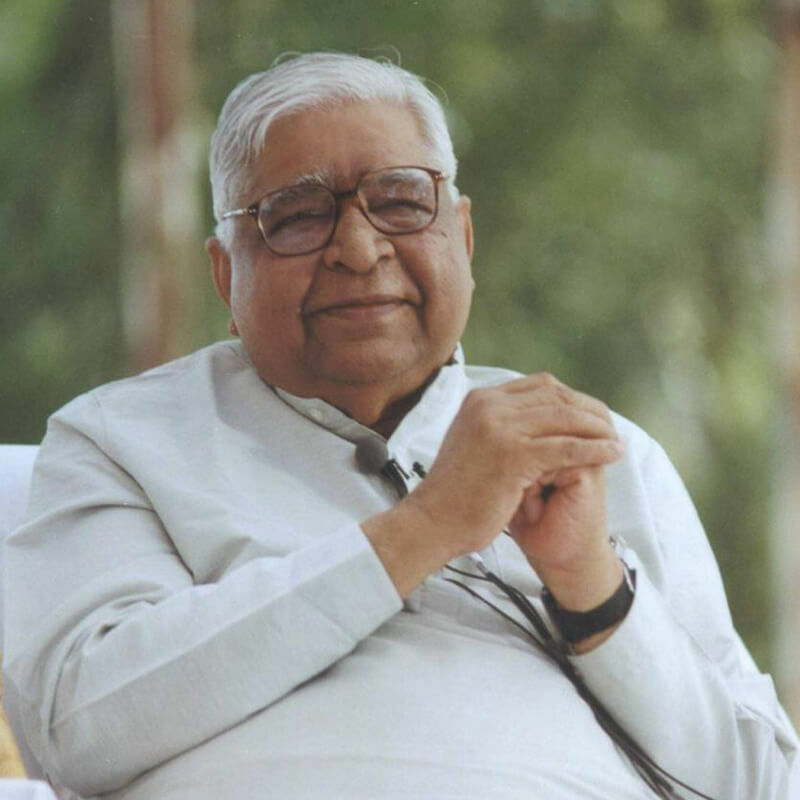 The teaching of Vipassana was maintained from generation to generation by an unbroken chain of teachers and students. It is true that the majority of bhikkhus had an inclination for pariyatti (the study and teaching of the Tipiṭaka), while only a few were interested in paṭipatti (the practice of Vipassana). Nevertheless, these few bhikkhus practicing Vipassana preserved the technique in its pristine purity in an unbroken teacher-student tradition. History records the names of neither these teachers nor their students. But there is proof that the technique was preserved in its pristine purity: About 125 years ago, an extremely intelligent and hard-working young bhikkhu, Ledi Sayadaw, had become proficient in the study of pariyatti. He went on to learn the technique of Vipassana still being taught in the caves of the Sagaing Hills; and after mastering the technique, he began to teach it to others. His vihāra (monastery) in Ledi village near the town of Monywa. There he meditated most of the time and taught the other bhikkhus. At other times he travelled throughout Myanmar. Because of his mastery of pariyatti, he was able to write many books on Dhamma in both Pali and Burmese languages. 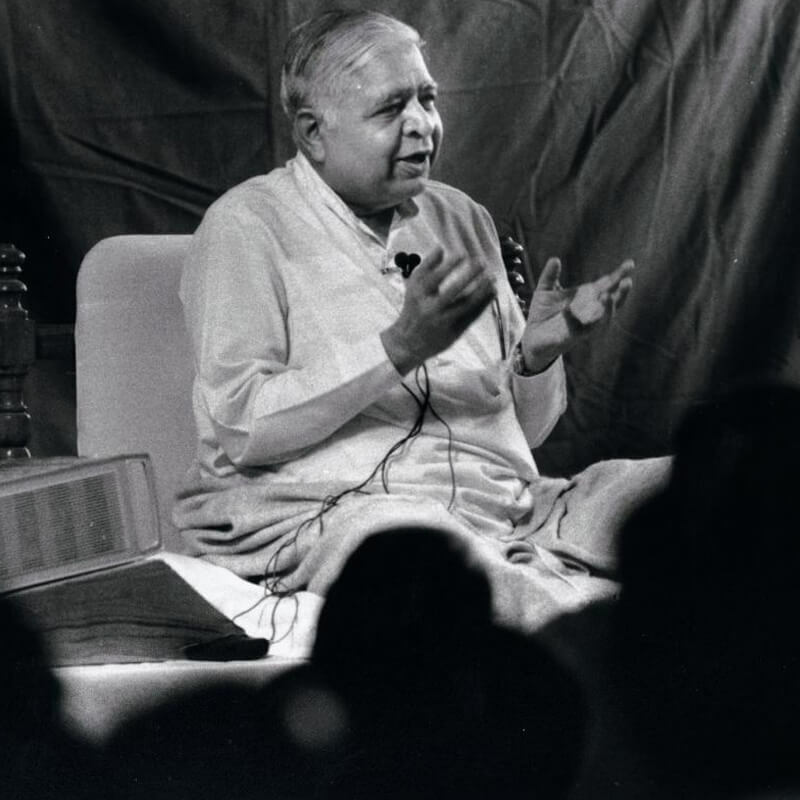 Thus he strengthened pariyatti, and at the same time he kept alive the pure tradition of paṭipatti by teaching the technique of Vipassana to a few people. To carry out Sayagyi's Dhamma wish, I undertook to bring to India whatever I had learnt sitting at his feet. Accordingly, in 1969, I came to the land of my forefathers with this priceless technique. Discerning people of India gladly accepted it, and the technique began to be re-established here after an interval of about two millennia. It also began to spread to many other countries, enabling suffering humanity around the world to benefit from the Buddha's liberating teaching. Therefore I say again and again that not only I but all Vipassana meditators who have benefited from this technique are grateful to Myanmar, and will always remain grateful. To the Bhikkhu Sangha, to the teacher-student tradition, who preserved both the pariyatti and the paṭipatti in its pristine purity, they are extremely grateful, and always will be. How can any Vipassana meditator ever forget the debt to Myanmar? To be grateful is strong evidence of progress in Dhamma. Gratitude is abundantly beneficial. Thus we are all very grateful. Dhamma is munificent in the beginning, Dhamma is munificent in the middle, Dhamma is munificent in the end. Dhamma, that is,sīla, samādhi, paññā, is munificent and beneficial in its entire path for anyone walking on it by practicing it. Every step taken on the path of Dhamma gives healthy, wholesome results here and now; no step, no effort taken on the path is wasted.